Looking through my bookshelves not so long ago I was shocked to discover that I could remember very little about the books that I’ve read, even the ones I really liked. I love reading, and I’m fortunate that in a sense it’s part of my job, but how do you remember characters, plots or historical facts accurately when the list of what you’ve read starts to build up? After giving the matter some thought, I decided to try my hand at maintaining an annotated bibliography. The researching and publishing that I’ve done so far has required that I create bibliographies, but this one would be different. I started with basic publishing information and then gave a short account of what the book is about and what I thought of it. These would not be reviews as such, but my general thoughts on the book which I could revisit from time to time and hopefully relive a little of the book itself. I’ve pasted two entries below which reflect my reading interests of crime fiction and history. Having seen Camilla Läckberg speak at Theakston’s Old Peculier Crime Writing Festival at Harrogate, I rushed out to buy one of her novels. The Hidden Child was the first one to hand. 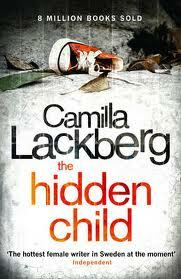 Upon reading it I was impressed by her skillful crafting of a good thriller. There is a gritty realism in her writing which is missing in the more overblown work of fellow Scandinavian greats Stieg Larsson and Jo Nesbø, but the downside is her writing lacks the visceral excitement of either of these contemporaries. Atatürk was a cunning strategist, outwitting rivals to become the leader of the Turkish Nationalists and foiling the Allies attempt to carve Turkey up into a Hellenic empire. By the time the Sultan tried to side with the Nationalists, Atatürk sidelined him, so that he couldn’t take any credit in their victory. After winning independence, he set about secularising an almost entirely Muslim country. The Fez was banned under the 1925 Hat Law. A new constitution separated Church and State. Atatürk is regarded as the great emancipator of women. His adopted daughter became a fighter pilot. Inevitably, people who resisted his vision were dealt with harshly, but the Cultural Revolution Atatürk set in motion is remarkable for the relatively small loss of life in comparison with other revolutions. By the time of his death, many Turks still lived in extreme poverty, but his regime had laid the foundation for prosperity, liberty and democracy. Or had it? Mango offers a spirited defence of Atatürk noting some of the contradictions of his character. He did not treat women in his private life with the emancipated role he gave them in Turkish society. His atheism seemed at odds with his penchant for bizarre pseudo-intellectual ideas such as the Sun-Language theory, and posthumously, a cult has been built around his personality. It is illegal to criticise him. Statues and portraits of him are everywhere, and ‘Atatürk’ translates as ‘Father Turk’, the surname he chose which was forbidden to any other Turk, which partially makes him appear more of a monarch than the first President of Turkey. During his rule, the Turkish parliament had no greater role than simply rubber-stamping his reforms. The first free Turkish elections were not held until 1950, and since then, there have been a series of bloodless military coups. But Mango leaves the reader with no doubt that Atatürk transformed Turkey for the better: if his reforms amounted to ‘Measured Terror’ and might seem precarious, bear in mind Turkey’s unique position as the meeting point between East and West, and the condition today of neighbouring states such as Iran and Syria. When Turkey first founded there was no other option than giving all the power to Ataturk. People were so uneducated in time even the other political parties founded or supported like Turkish Communist Party(founded when Ataturk and Lenin had a good relationship) by Ataturk. The problem was people voting for religious parties. If Ataturk would let these religious parties elected there wouldn’t be any difference between turkey and middle-eastern countries today. He choose the Ataturk name but people started calling him Ataturk before that. Actually my old surename was Kocaturk which means Grand Turk not that special though. and the law about criticising him created many many years later from Ataturk’s time, when the military took over the country. 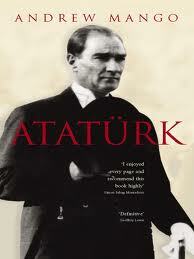 Only thing that i can criticize Ataturk about is the Dersim situation i am sure there could be another option. Kaan. Thanks for commenting. You make some good points and Turkey’s wealth and democracy today is Ataturk’s legacy. However, if you look at the current situation in Egypt it would suggest that a secular elite persecuting a religious minority only leads to more oppression and instability.